Posted on 24th October 2018 at 3:51 pm. Warehouse and Inventory Management are both huge responsibilities for any business. Supplying your products on time and with multiple channels can be overwhelming if the whole process isn’t handled efficiently enough. It’s common for businesses to receive continuous pressure from buyers and stores to ensure they provide an efficient and timely service. Warehouse and inventory management is a key part of creating and maintaining a successful business. You’d be surprised at how small changes to management systems can make such a huge impact to a company’s bottom line. Would you like to know how to manage your warehouse inventory more efficiently? Here are our top tips for warehouse and inventory management, and how they’ll help your business. Your best-selling products should be closer to your shipping area than everything else. If something is flying off the shelves, there’s no point in placing it far away. It can be a pain to re-organise everything, but it’s worth doing. 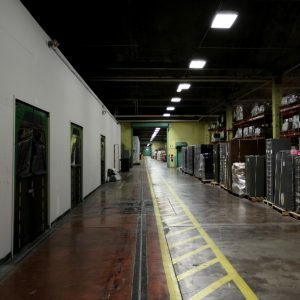 You should be assessing the layout of your warehouse on a regular basis. Because the supply and demand of a product change regularly, you should make storage changes regularly as well. You should have the facility to track sales and orders for each product or customer. Use this information to track the high sellers and position these in a place where you can find and follow them a lot easier. Every business has its own seasonal demands. Warehouse management basics show that it doesn’t make sense to store the entire inventory throughout the whole year unless there is regular demand. Stock levels should be sustained at optimum levels, preferably 1.5 times the regular use to avoid delaying your working capital. Inventory is a chief investment for many companies. Manufacturing companies can easily be carrying inventory comparable to between 50% and 100% of the revenue of the business, therefore it’s essential to reduce the levels of inventory held to the necessary minimum. Forecasting of inventory demand based on historical buying and selling habits will help with lowering costs as part of your warehouse management process. Having a reliable inventory management system will enable you to know which products are doing well and which ones are not. Cross Docking is a prevalent supply chain management method that aims to lessen shelf storage stock time. It enables quick transportation of warehouse-delivered goods to outbound carriers that will take stocks to distribution centres or retail centres. The warehouse arrangement must be set in a way that favours cross docking. The same is true of wave picking, which is used in a warehouse management system to support the organising of work in a warehouse or distribution center. It is much easier to implement in complex shipping systems when you adopt advanced tracking methods. 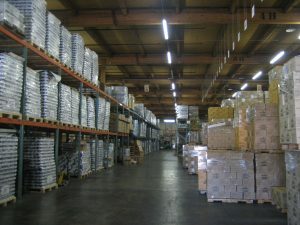 Warehouses can be a location of many injuries. Many of the reported accidents in warehouses happen due to lack of employee training and awareness. Heavy duty equipment like forklifts, cherry pickers etc require the appropriate training and experience before being handled. Anyone working in a warehouse must wear the appropriate clothing and footwear. There must also be clear safety signs e.g health and safety posters and safety protocols must be in place . As a business becomes busier you may find that stock management becomes more complex and you need more help. Using a logistics company that provides warehousing and inventory management solutions may be the next step for you. A logistics company will manage the process for you, taking away any additional stress on top of your day-to-day running of the business. 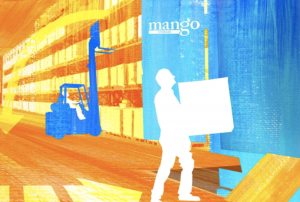 At Mango Logistics we offer an end-to-end solution, meaning you can sleep peacefully knowing that your warehousing & inventory management is being taken care of from A-Z. If you don’t have the time, software or staff to do this, here at Mango Logistics we can help you with your warehousing and inventory management needs. We are able to pick, pack and deliver your products promptly. We also choose the best and most appropriate method of transport including on-board courier, parcel service or charter aircraft as needed. Get in touch today!